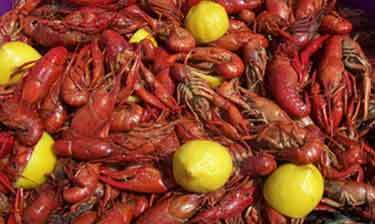 We specialize in Crawfish Boils, Crab Boils, & Shrimp Boils. We can do them seperate or we can mix them up for you. 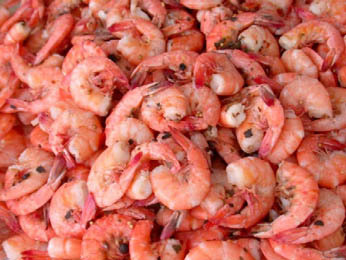 Boiled Seafood: All seafood is boiled and served on site. All of the seafood is served with Corn, New Potatoes, Mushrooms, Celery, Onions, Lemons, Garlic, Bell Peppers, and Country Smoked Sausage. Other items are avaliable in addition to the above; such as Coctail Sausage, Hot Dogs, Artichokes, Brussell Sprouts, and anything else you can think of. We have our own blend of Boiling Seasoning that we use. We will have to price everything out when you call depending on the season of the year, what you might want to add to the pot, and market prices on the seafood. For pricing please call or e-mail us. We can customize all of your food needs; just e-mail or call us for information. We bring our cookware and cook onsite for everyone to see. I have found that alot of people have never seen someone cook Jambalaya in a big pot, fry a turkey, boil seafood, smoke meat or some of the other great dishes we can prepare for you. 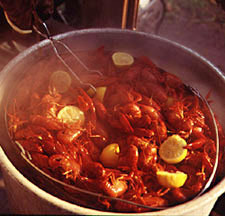 Alot of the dishes we do are better when cooked on site; such as the Jambalaya, fried foods, and the Bar-B-Ques.